Hello friends! Today, I thought I would put together a few odds and end that never quite made their way to the blog. First, I realized that I never shared the photos I took when we visited Vermont earlier this winter. Have you ever seen an image on Pinterest that you just had to see for yourself? This was one for me. It is the covered bridge in Arlington, VT. It didn't disappoint! I have an entire board full of places in Vermont that I would like to visit and hopefully we will get to check out more of them this year. We are doing research to narrow down the list of where we might like to live when Billy retires. 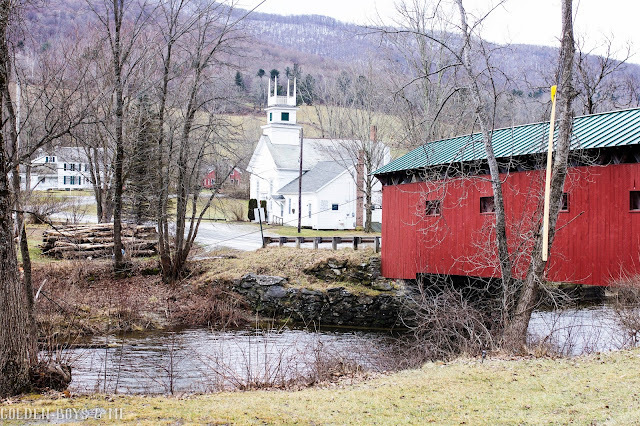 The village of Dorset, VT is definitely on the list. 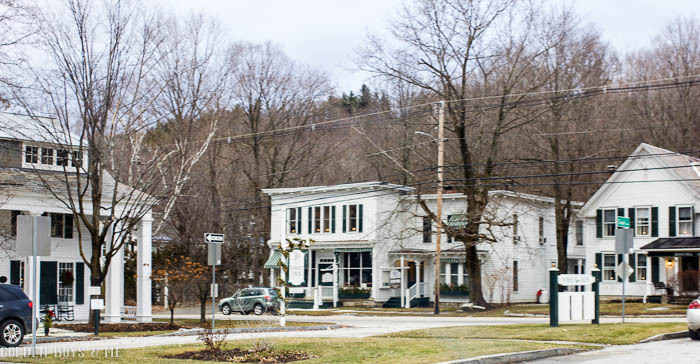 There is a town green surrounded by a variety of charming white homes and businesses, including an Inn and Country Store. We visited on an overcast day but I can just imagine what it would look like on a sunny day. We will have to go back. When we check out an area, our youngest son likes to see the local skatepark (his top priority in a place he might live someday). While Billy took him there (he approved), Kyle and I checked out the Northshire Bookstore in Manchester. 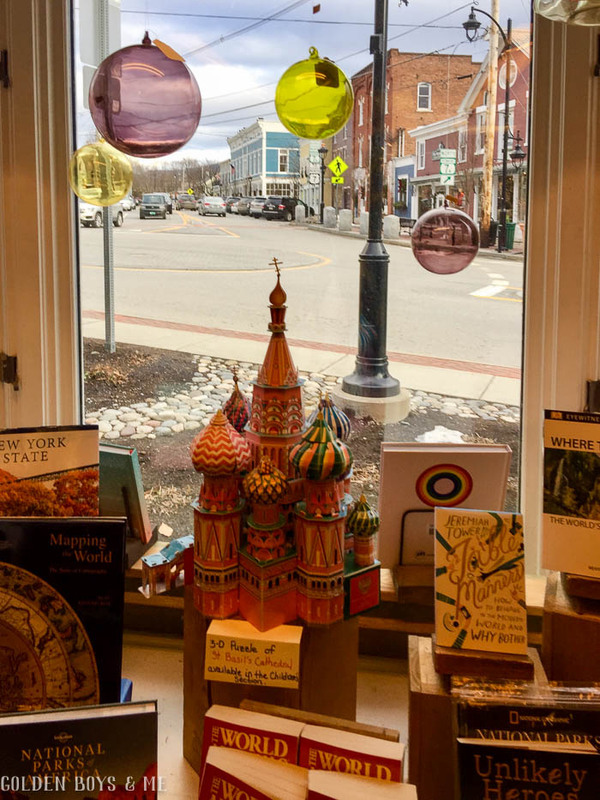 Old bookstores are my happy place and this one was at the top of the list of memorable ones that I have visited. It has old creaky pine floors and handwritten book recommendations on the shelves. Just perfect! 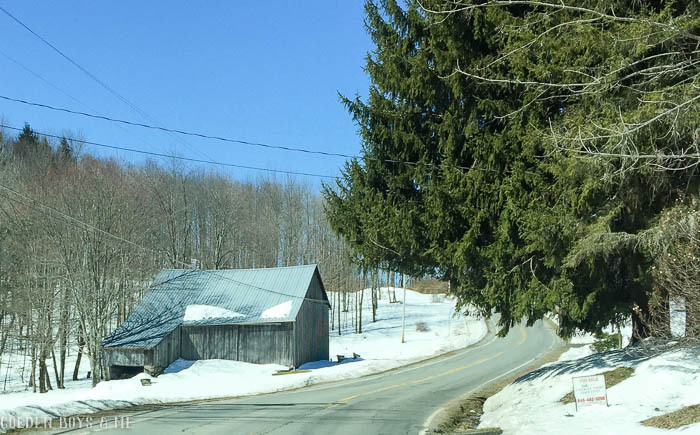 Last week, Billy and I took a day trip to Calicoon, NY in the name of farmhouse research. Calicoon is in the western corner of the Catskill Mountains and only about an hour and a half from where we currently live. Yet it feels like a world away. 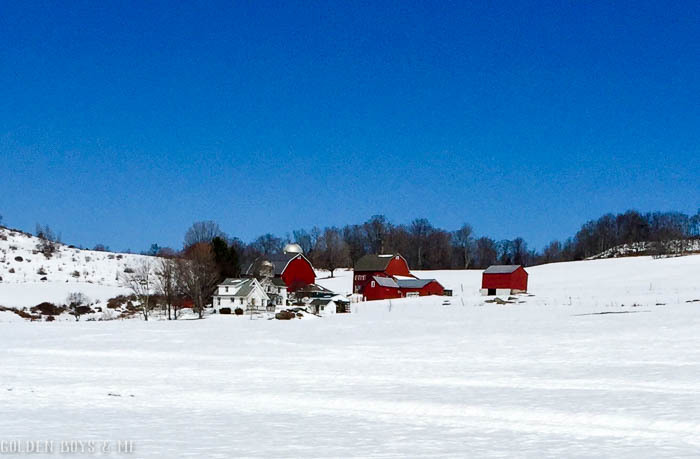 I can't help but grab my camera when I see a red barn in the snow. This day was a brilliant sunny day. The calendar says it is spring, but it still looks like winter in these parts. 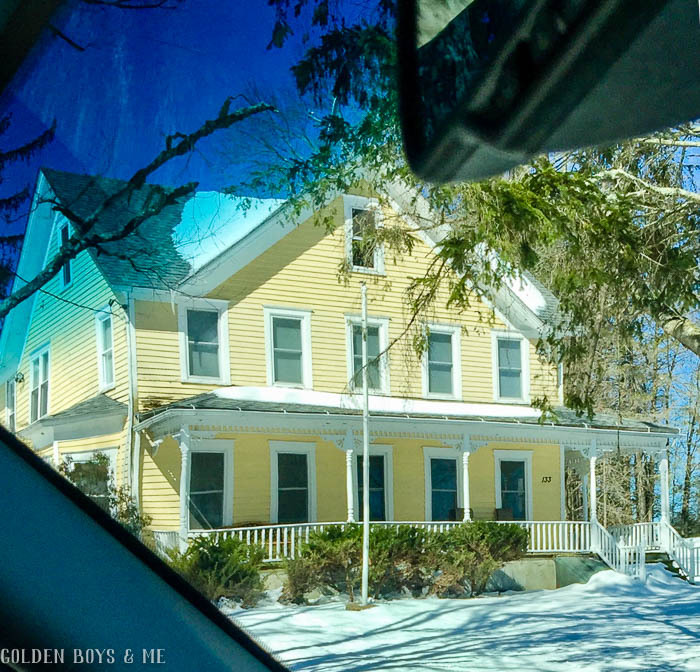 This yellow farmhouse is currently on the market and was calling our name. It is situated on 21 acres with a barn. The only thing wrong with it (for us) is it is already completely renovated and we want something we can work on ourselves. 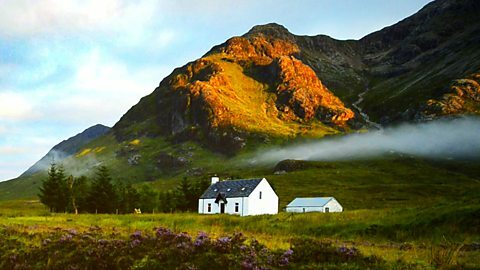 Speaking of moving to the country, I have been enjoying the BBC tv show "Escape to the Country." Season One is currently on Netflix and I find the inside look at life in the English countryside fascinating. And it just goes to show that the lure of living in the country is widespread, in all parts of the world. 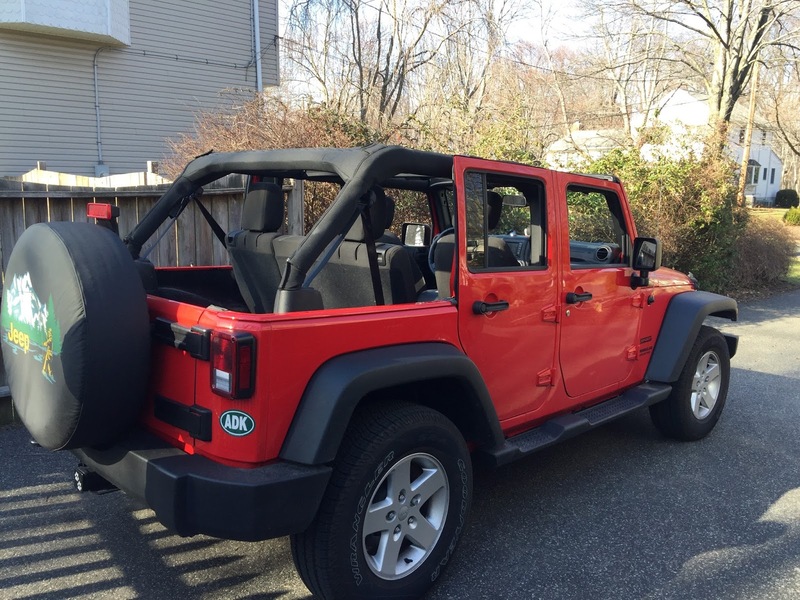 Back in NJ, we enjoyed some warm days in February that prematurely gave us spring fever. We even took the top off the Jeep on a warm day. I think we jinxed all chances of an early spring with that move. March arrived with lots of cold weather and even a blizzard. 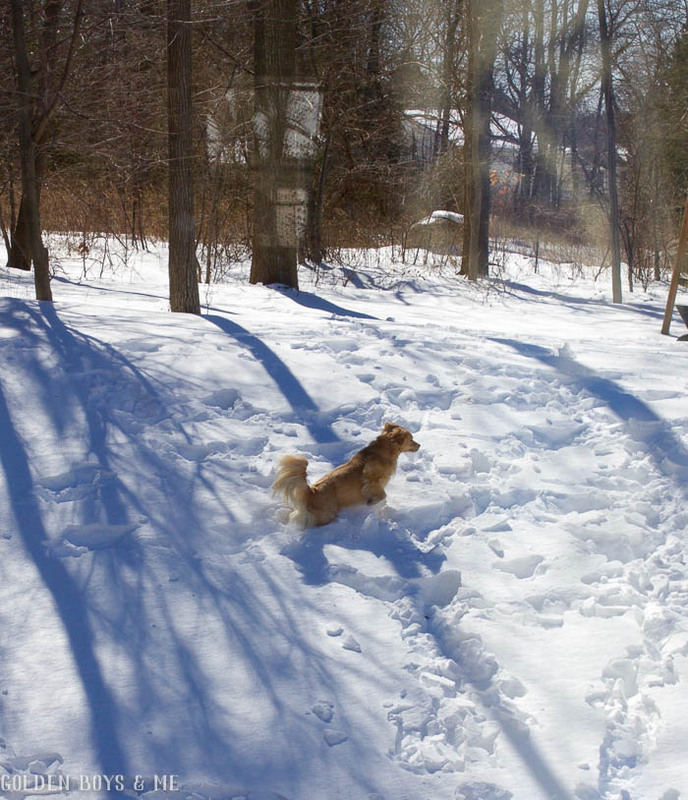 Dax literally had to leap through the snow to get around. At least I have been able to add a bit of spring to the inside of the house with store bought flowers. And I think this week is actually going to warm up. Fingers crossed. 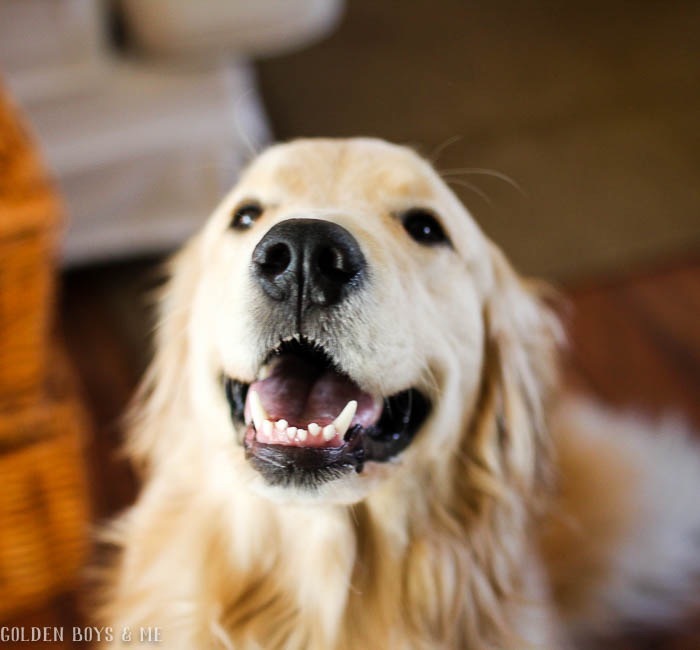 I will leave you with an image of smiling Dax on this Tuesday morning. 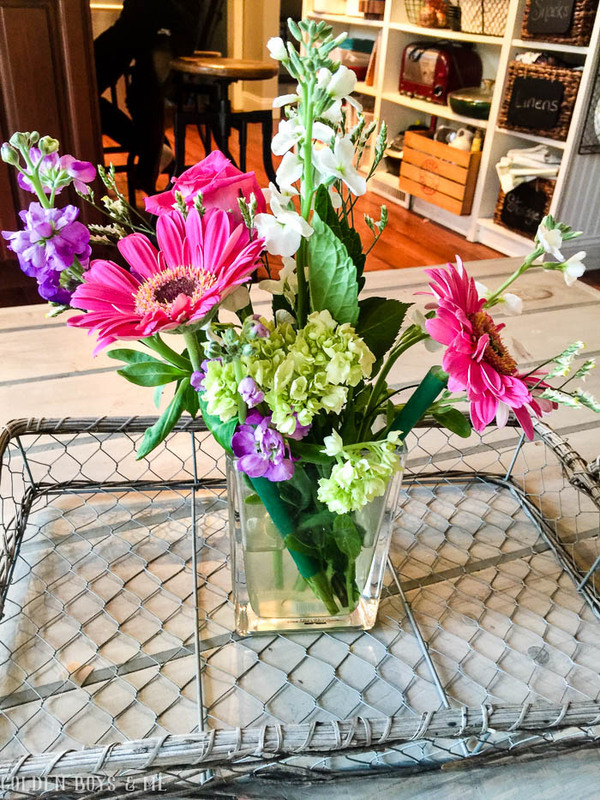 I am putting the finishing touches on our spring kitchen and I hope to share that soon. Hope your week is off to a great start! Hi Chris! I can picture myself in Vermont too :) I hope you get your rain soon. And I also hope we get some spring weather in NJ too. I think you will enjoy that series on Netflix. Courtney, As always your pictures are just stunning! I look forward to your posts as your blog is my very favorite. Great photos!!! I never for one second regretted moving out of NYC and up to the mountains - it was the best thing I ever did! Looking forward to following you on your journey!! Dax, you handsome boy!! Courtney, I love your photos. I can definitely see you living in the mountains someday. I am very familiar with that gorgeous area of Vermont. Although we go to Killington now, we used to ski Stratton which is very close to where you were. My stepfather's sister used to have a house in that area. Manchester and that whole southern VT area is so beautiful. Bennington is another lovely little town which you have probably driven through. Thanks for sharing your pics and I look forward to your spring updates! I would love to live in a town as you describe. The pictures you have shared are just beautiful. We have a 1 room brick schoolhouse in Washington County NY. 13 miles from Vt border. FYI, lots of people fall in love with Vt but the taxes are extreme. They may not seem out of line with NJ but we chose our location on the property AND the tax rate. Our school is adorable, blackboards on walls, slate roof, bell tower with school bell. We added elect, water, septic and rehabed the 200 yr old building. We have several covered bridges nearby and loads of historic homes. Glad to we you posting! I am so glad you e-mailed to tell me of your experience with both NY and Vermont. We have been finding that both the taxes and home prices are higher in VT like you said. There is so much to take into consideration so please feel free to give your opinion anytime. I appreciate it! :) We actually drove though Greenwich on our way to VT and loved it. PS: Your home sounds like a dream come true to me.